In this article, we clear up the difference between SOCKS5 vs VPN, so you can Torrent Your Arse Off ™ – anonymously and with fast download speeds. SOCKS5 is the fast, inexpensive solution for downloading torrents anonymously. Torrents can be slow to download anonymously over VPN, so we use SOCKS5 to get our torrents downloads running faster than a particle in the CERN Hadron Collector, while still maintaining our IP Address anonymity. 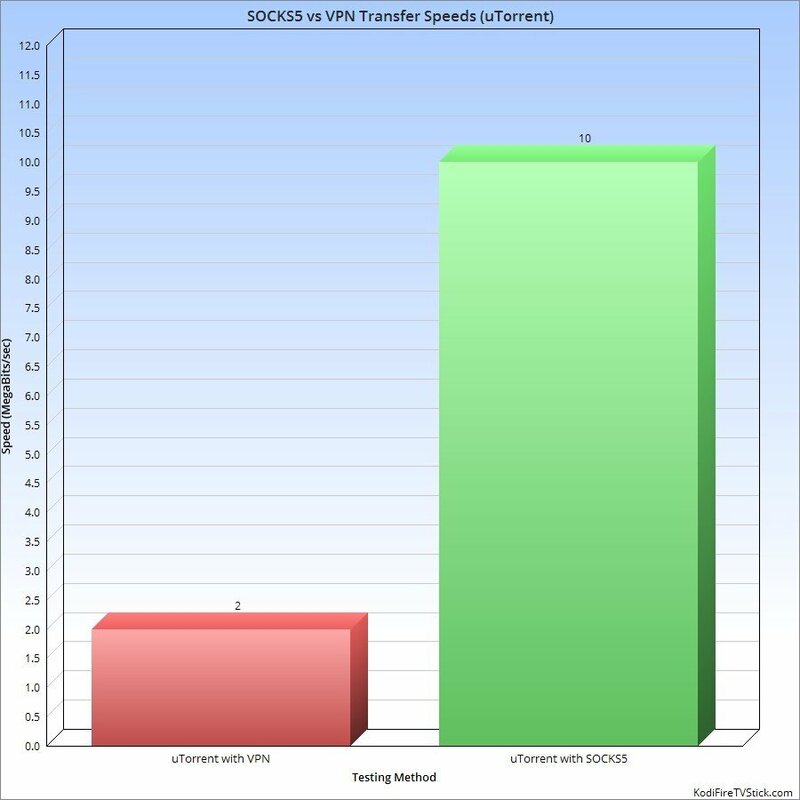 How to use this guide: First check out the quick SOCKS5 vs VPN Ultra-Simple Explanation (“cheat sheet”) just below the text you’re reading now – then check out the SOCKS5 vs VPN Transfer Speeds Comparison ( Bar Graph) further down the page. After you’ve read all that (once you’re enlightened), you can get the best SOCKS5 service here. The Take-Away: VPN is perfect for securely and anonymously transferring all kinds of data except for torrents (because torrents download slowly via VPN). On the other hand, SOCKS5 is not preferable for normal daily data transfer (because SOCKS5 is not encrypted) – yet SOCKS5 is perfect for torrenting anonymously, since your IP address is hidden along with your identity. Nerdy Link: If you’re interested in reading the technical details about SOCKS5, see the wiki article or IPVanish’s article. The most typical use-case for SOCKS5 is for anyone who needs to download torrents. Problem: Content that we download via torrents can sometimes be mistakenly marked as copywritten material – even when the content is legal to distribute! In these cases, you can receive a nasty letter from your ISP (or god forbid – a gov’t organization). Solution: To keep this from happening, we can use SOCKS5 to conceal our location & identity, just like we can with a VPN. But for torrents – SOCKS5 is much faster. The reason you’d want to use SOCKS5 instead of a VPN to download torrents anonymously and/or unblock blocked resources is because SOCKS5 results in faster transfer speeds. Summary of Table Data: SOCKS5 is much faster than VPN for downloading torrents, because it does not encrypt the transferred data – simply hides your IP address to anonymize the traffic ;). Boom. SOCKS5 is the name of an Internet Protocol that uses a proxy server to deliver packets between a client and a server. The SOCKS5 (“proxy server”) protocol gives you the anonymity you need to download torrents without worry – while still maintaining the high data transfer speeds you’re accustomed to ;) So you can download all those great legal TV Show episodes you’ve been wanting to torrent. SOCKS5 gives faster transfer speeds for torrenting! VPN is still the mac-daddy of secure, anonymous data transfer – but SOCKS5 can accomplish the same goals for torrenting while still giving us high data transfer speeds. Therefore, we recommend using VPN for all your normal data traffic, and then use SOCKS5 for your torrents. This way you’ll get the maximum security for your normal traffic, and you’ll still get the security, privacy, and anonymity (and SPEED!) when downloading your torrents. Download torrents like you normally would, but now with anonymity and speed. SOCKS5 vs VPN: The difference between SOCKS5 vs VPN is that SOCKS5 does not encrypt your data, but still keeps your IP anonymous - perfect for torrenting!